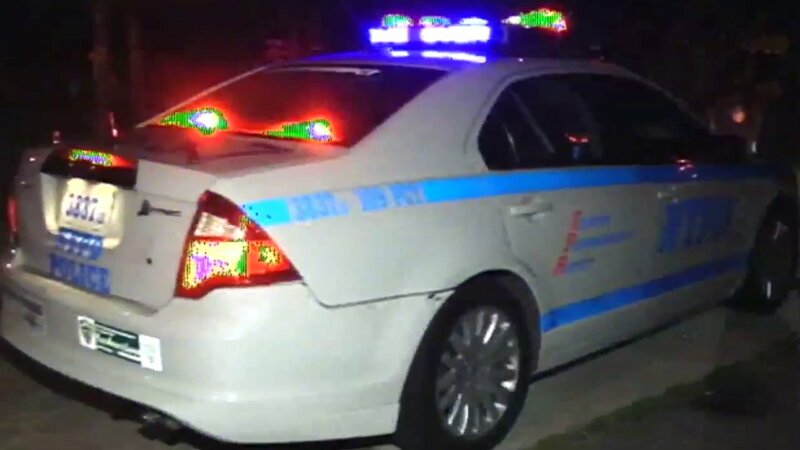 FLUSHING, N.Y. (WABC) -- The death of a 28-year-old Flushing woman discovered dead in a Queens park over the weekend is being investigated as a possible domestic incident. Qing Qing Kiemde was found dead in Kissena Corridor Park just before 3 p.m. Sunday. Police said they received a call about an unresponsive woman with multiple stab wounds on her neck and stomach. She had a laceration to the throat, the abdomen and eight puncture wounds to the torso. Her husband, who is estranged and who did not live with the victim, is being sought for questioning. "We are seeking to speak to the husband right now," said Chief of Detectives Robert Boyce. "We don't believe he is part of this, but we will see as we go forward." People who walk in the park say that the situation has them on edge. "I'll be more careful, maybe I won't go into that trail," said one resident.